What is the Virginia Railway Express (VRE)? 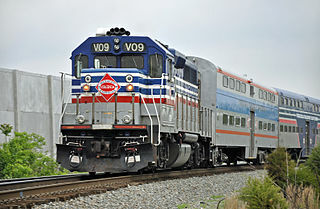 The VRE is a commuter rail service which connects Washington D.C. with parts of the Northern Virginia suburbs. In Fairfax County, the VRE operates on Amtrak rails (which explains why the end point of the VRE in DC is Union Station). Since the VRE is a commuter service, it only runs Monday through Friday (except on select holidays), and its schedule is restricted to commuting times (i.e. it does not run throughout the day). 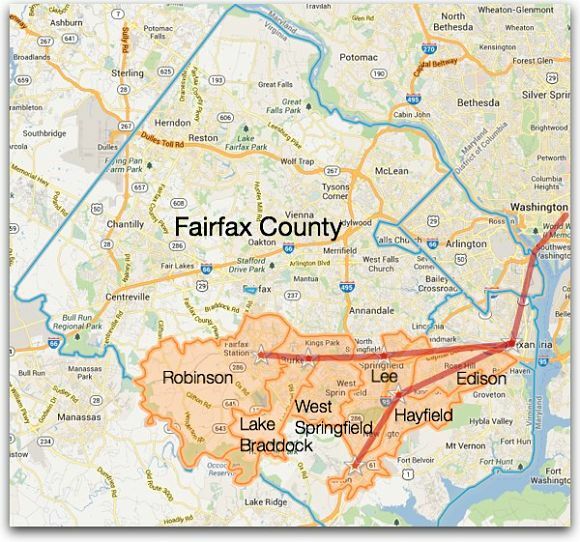 Mike and Susan considered the VRE to be a viable option for Mike’s commute, so they started researching the school boundaries which would be most accessible to it. 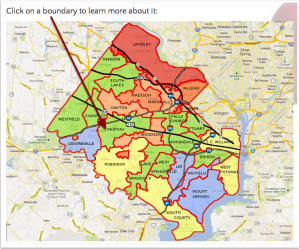 If you want to commute to DC using the VRE, which boundary would you choose?